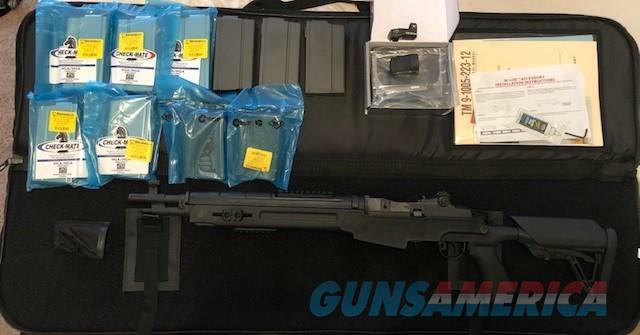 Description: NEW NEVER FIRED Springfield Armory SOCOM 16 CQB with extras!!! Rifle comes as packaged from Springfield in softcase with 7 extra 20 round magazines and 2 - 15 round magazines, for a total of 8-20rd and 2-15rd. Comes with all paperwork and manuals and Vortex Venom red dot with mount. All as new. I purchased the rifle brand new and have never fired it. Comes as pictured. No warranties expressed or implied.No returns. The rifle is in pristine NEW condition. Local pickup is available and preferred. Shipping at the buyer's expense from my FFL to yours. PAYMENT BY CERTIFIED CHECK OR MONEY ORDER ONLY. Price is negotiable. Thanks!